Workshop. How to make prototypes that feel like real apps with Framer. Tes was developing iPhone apps*, but wanted to move to product management and making only the initial prototypes for apps. 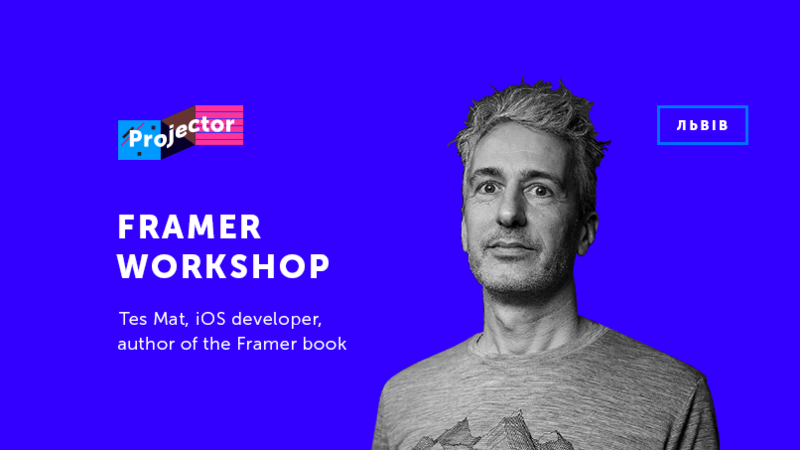 In a search for the best prototyping tool he found Framer, wrote the definitive manual for it, and now teaches it at Projector. Graphical design tools like Photoshop or Sketch are for designing how and interface "looks". With Framer you design how an interface "feels", how interface elements react to touches and how they animate. use some basic programming concepts like variables, conditionals (those 'if then' thingies), functions, arrays, objects and loops. As an example we'll also build a complete prototype. A Mac with Framer installed. If you didn't yet buy a license you can use the 14-day trial.